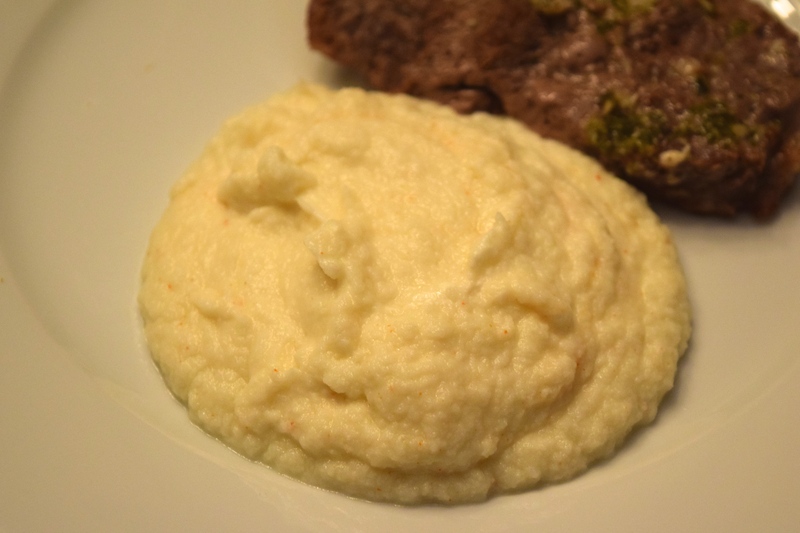 Creamy Cauliflower & Goat Cheese Purée. Puréed Cauliflower With Goat Cheese, Garlic & Cayenne Pepper. 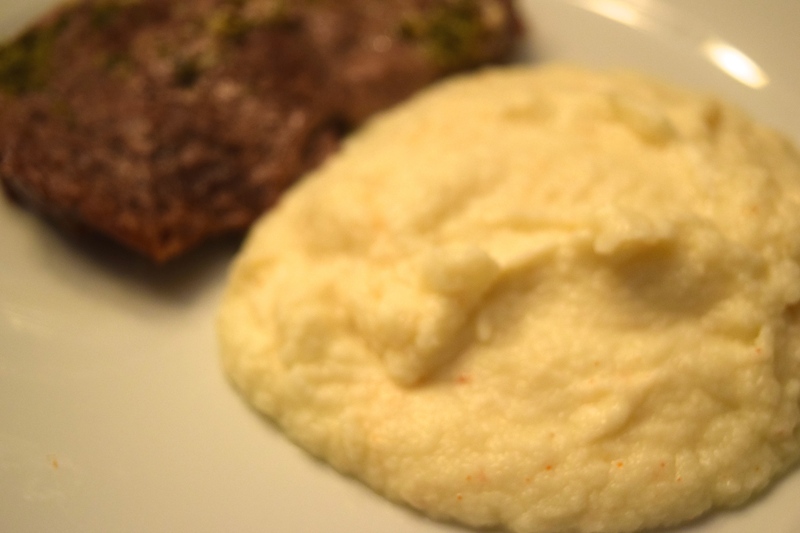 This cauliflower purée will trick your eyes AND your taste buds into thinking you’re eating mashed potatoes! 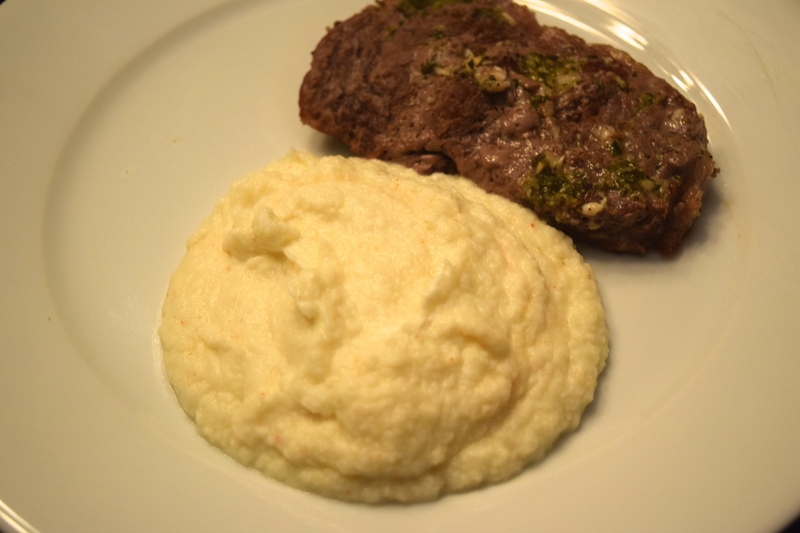 This is an amazing, low-carb substitute for potatoes and makes a great side dish. The goat cheese melts into the cauliflower and adds a salty, tanginess and the cayenne adds a subtle heat that balances out all of the flavors. I served it up with a steak and it was the perfect dinner. Yum! Steam or boil the cauliflower until soft and drain any excess water. While hot, put the cooked cauliflower into the food processor and blend until smooth. While blending, pour in the milk. Once smooth, pour the mixture into a pot on the stove on medium heat and stir in the Parmesan, goat cheese and garlic. Season with a dash of salt and cayenne pepper and stir well until the cheese has melted into the cauliflower. ← Chocolate Chip Banana Bread.